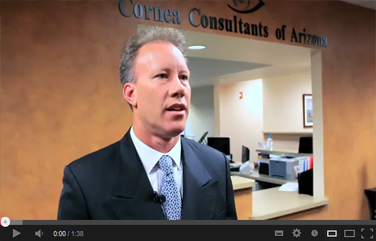 Cornea Consultants of Arizona has been serving patients of all ages for a wide variety of ophthalmic conditions of the cornea and anterior segment for the past 35 years. 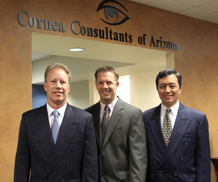 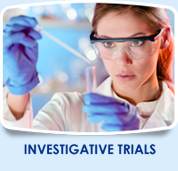 Each of our doctors are board certified and have completed over 13 years of training including medical school, internship, Ophthalmology residency, and an additional fellowship year in cornea, external disease, and refractive surgery. 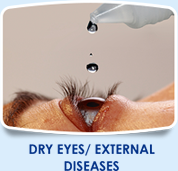 We are specialists in a wide variety of ocular conditions including keratoconus, ocular trauma, severe ocular infections, inflammatory disease, ocular malignancies, dry eye syndrome, cataracts, and refractive surgery. 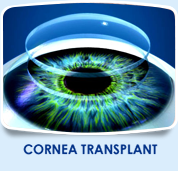 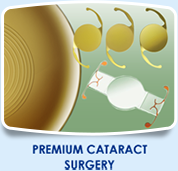 Common procedures performed by our surgeons include corneal transplantation including the new partial thickness DSAEK procedure, pterygium surgery, and state of the art no-stitch cataract surgery. 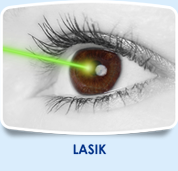 We are offering the most advanced LASIK, INTACS and other refractive surgical procedures for nearsightedness, farsightedness and astigmatism to reduce your dependence on eyewear.